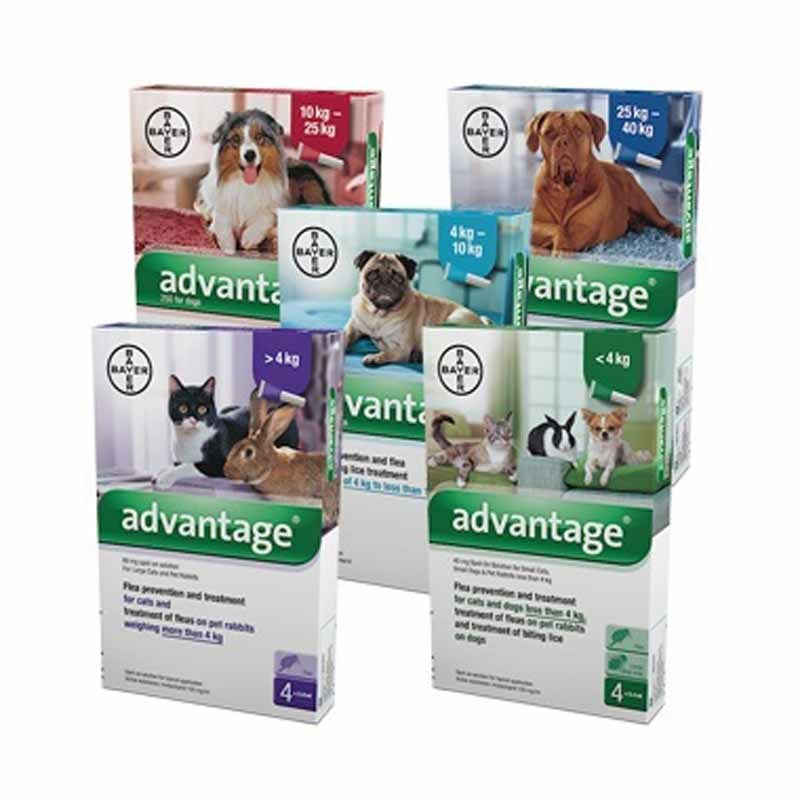 Advantage Spot-On Solution is a monthly treatment against flea & biting lice infestations for cats, dogs & rabbits. On dogs, Advantage Spot-On Solution treats & protects against fleas for up to 4 weeks, as well as treating against biting lice (Trichodectes canis). On cats, Advantage Spot-On Solution treats & protects against fleas for up to 3-4 weeks. On rabbits, Advantage Spot-On Solution treats & protects against fleas for up to 1 week. Warnings & Contraindications- Do not use on puppies who are less than 8 weeks old.